Contributions to the knowledge in the concerned/allied/relevant discipline to be substantiated by credentials Please send your C.V., list of publications. Achievements, name of three referees along with nomination of your candidature from a leading/eminent person working g in your area. Please send all the information to director_iqac@mail.jnu.ac.in. (i) Good academic record with a Ph.D. Degree in the concerned/allied/relevant discipline. (ii) A Master's Degree with at least 55% marks (or an equivalent grade in a point scale wherever grading system is followed). (v) A minimum score as stipulated in the Academic Performance Indicator (API) based Performance Based Appraisal System (PBAS), set out in the Regulation, 2010. For More details on Centre/School, Specializations etc. please visit JNU website www.jnu.ac.in/ career/ or contact Section Officer, Room No. 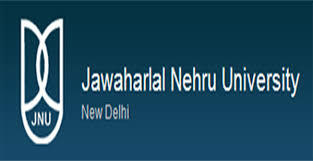 132, Recruitment Cell, Administrative Block, JNU, New Delhi - 110067, Email: recruitment@mail.jnu.ac.in. The eligible and interested persons are required to apply online in the format available on the University website. Applications will be accepted online only. The last date for the receipt of application is 8 May, 2018 at 5:30 P.M.